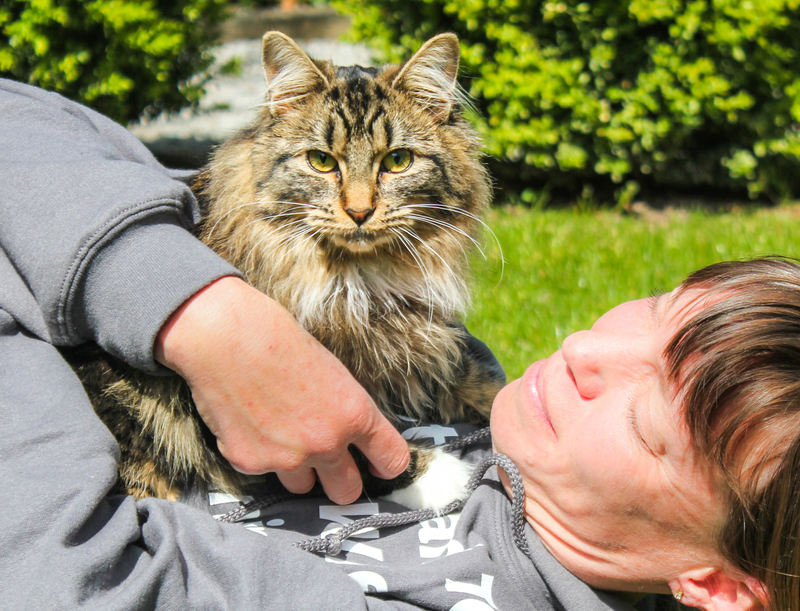 Marie-Claire and her family were devastated when their beloved cat Cody went missing. After an exhaustive search they came to come to the realization that Cody was not likely to return and it came time to open up their home to another cat. 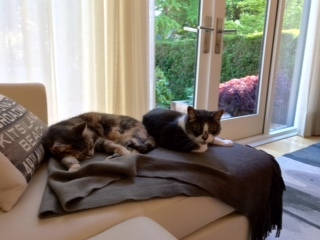 While on VOKRA’s website, Marie-Claire came across two bonded cats looking for a new home. After being adopted as kittens, Tom and Jerry were returned to VOKRA and they were quite stressed from the change in environment. 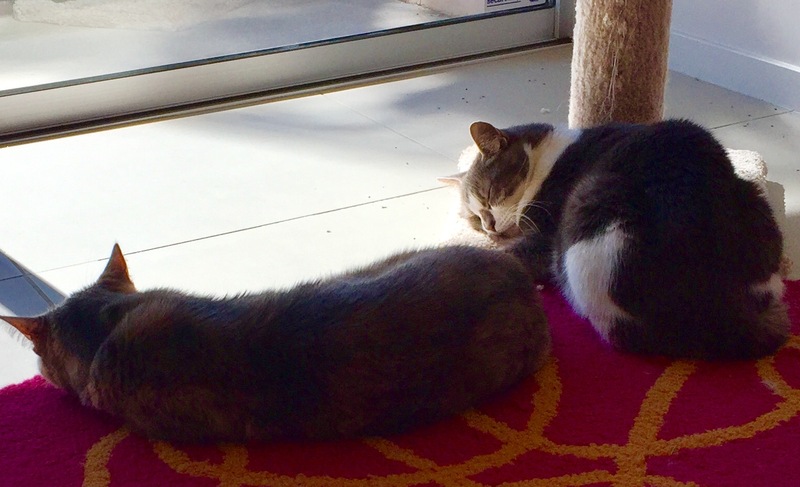 The bonded siblings were six years old at the time and waiting for that special someone to come along. 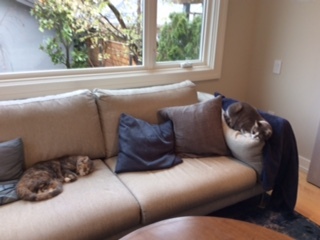 After some vet care, patience and a lot of love, Tom and Jerry (now Boxer and Kashmire) are fully part of the family and living the pampered housecat dream. “It wasn’t long before they both slept with us, one of either side of me (I am never cold),” said Marie-Claire. We’re so glad Boxer and Kashmire have settled in and are so comfortable around people again. 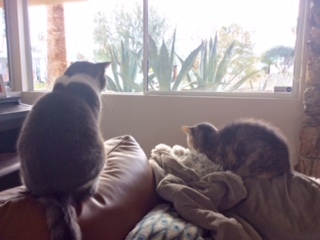 Thank you Marie-Claire for giving these sweet cats a second chance at a happy home! On the heels of celebrating Canada’s 150th birthday, we’d like to celebrate our Volunteer of the Month for July, Dania Sheldon! Before moving to Gabriola Island, Dania was involved in the day-to-day running of VOKRA as the operations manager. 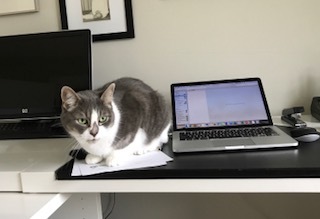 She was in charge of many tasks, such as cat care, bringing kitties to new foster homes, picking up and delivering supplies, fundraising and developing publications such as our Mewsletter and annual VOKRA calendar. 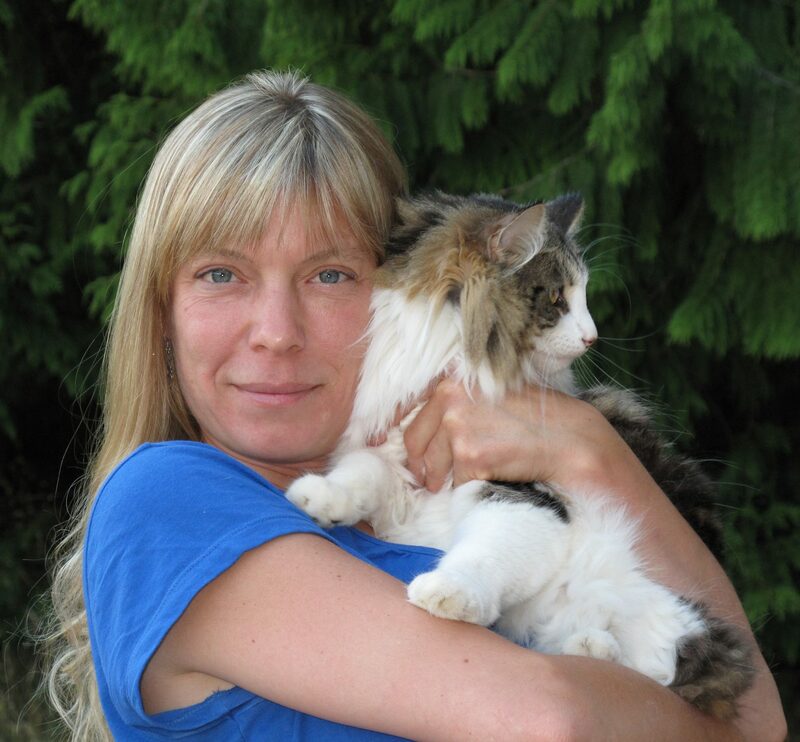 Since moving to Gabriola, she’s continued with the calendar through to the 2017 issue, along with facilitating and coordinating the adoptions of VOKRA cats who require safe indoor/outdoor homes that can be found on Gabriola. 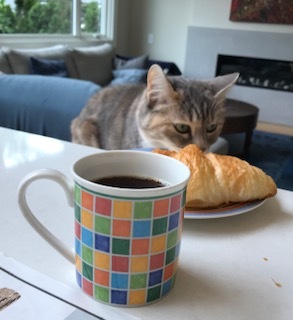 Dania also represents VOKRA on the Rescue Roundtable, which is a coalition of no-kill rescue groups in southern BC, sharing education, experience and contacts to achieve the best possible outcomes for animals in need. 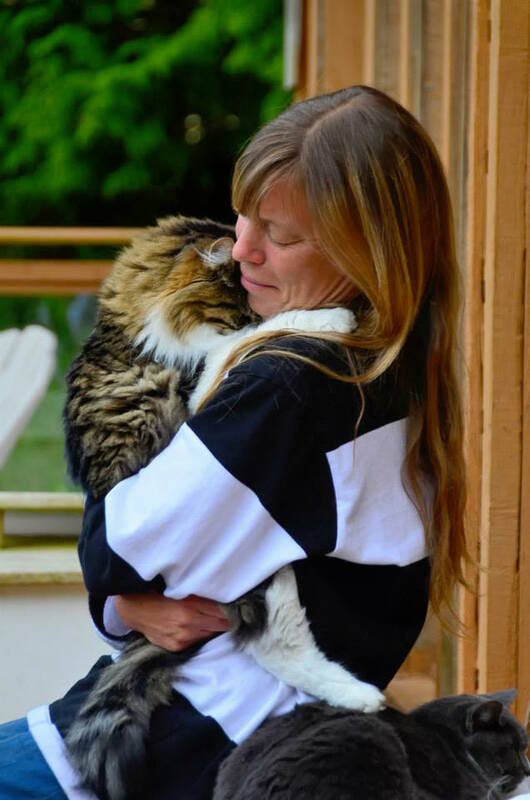 We thank Dania for helping with the rescue and rehabilitation of cats for the past 12 years and we’re sure the kitties she has saved thank her too. Karen sums up our gratitude to Dania pretty well, so we just want to acknowledge and give thanks for every single ounce of work Dania has put into this organization. You have helped VOKRA take off and we couldn’t be happier to have you on our team! We’re Walking for the Kitties! 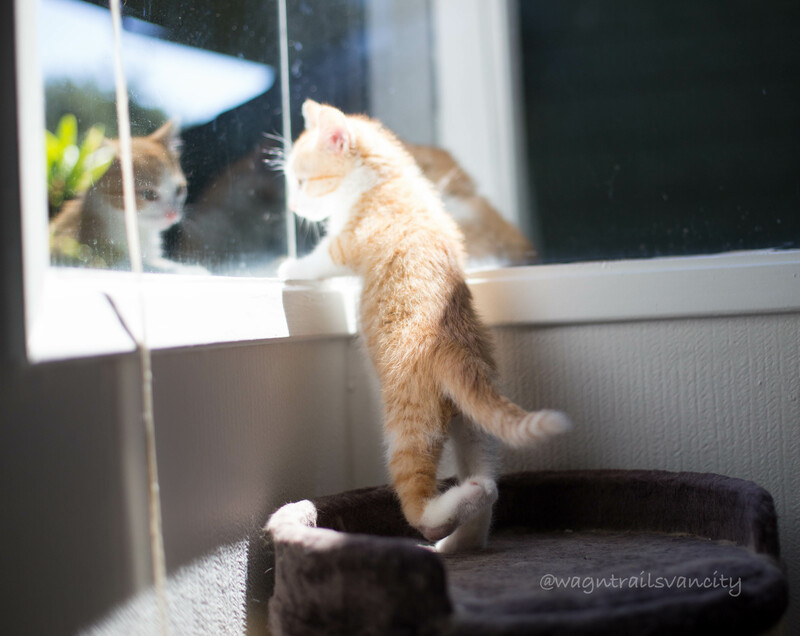 WALL-E’s a typical feisty kitten who loves to run, jump and play. Except for one thing, he now only has three legs. We were first alerted about WALL-E when we saw an advertisement for a kitten with a broken leg. Obviously we were very concerned so we checked things out and ended up taking him in when he was 8 weeks old. WALL-E’s left hind leg had clearly been broken at some point and had healed in a backwards position. WALL-E didn’t let his leg slow him down one bit, but it was clear something would need to be done. After consulting with a veterinarian it was decided the leg had to be removed. Today WALL-E’s recovering from his surgery and his foster mom Dawn is trying her best to slow him down. Sometimes she even succeeds! Soon his stitches will come out and he’ll be on his way to finding a forever home. 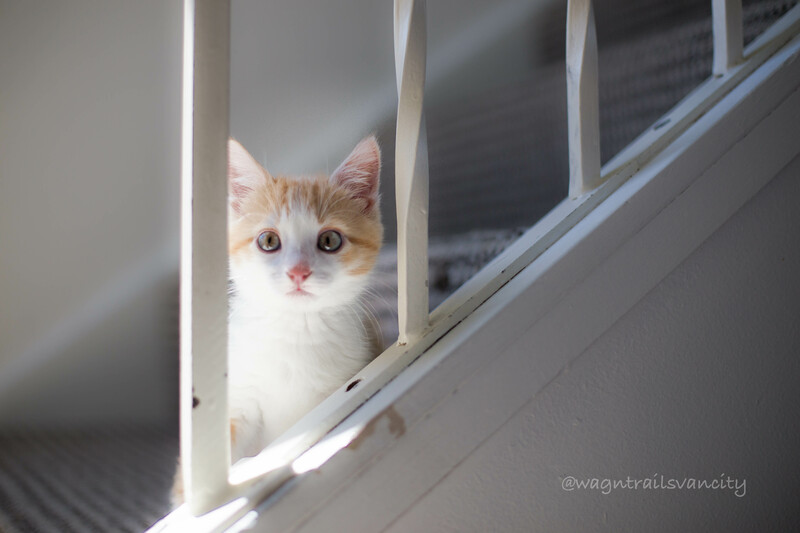 Kittens like WALL-E are just one of the thousands of reasons why we Walk for the Kitties. Without your support we wouldn’t be able to pay for the veterinary care kittens like WALL-E need. Please help us help kitties like WALL-E this September 17 by joining us for Walk for the Kitties, presented by FirstMate. Can’t make it on September 17? You can still donate today!